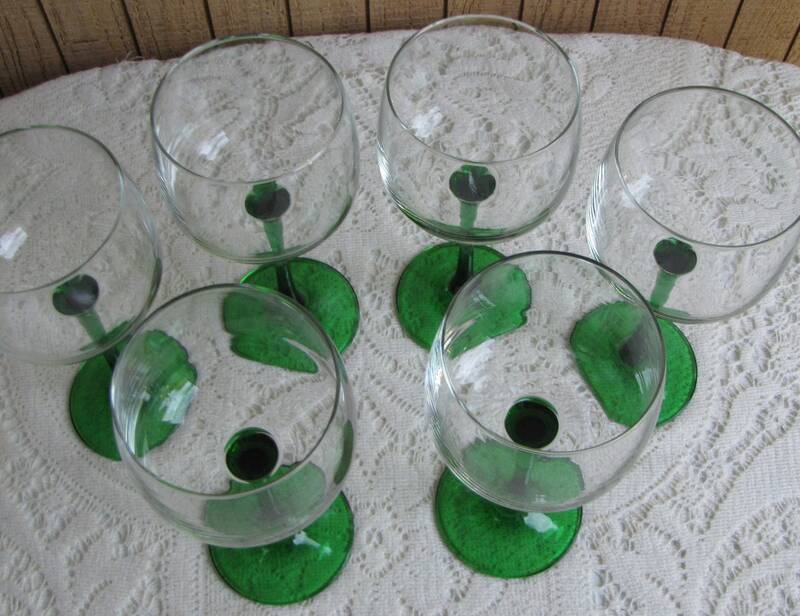 This is a for 6 wine hocks called Emerald by Cristal D’Arques-Durand. 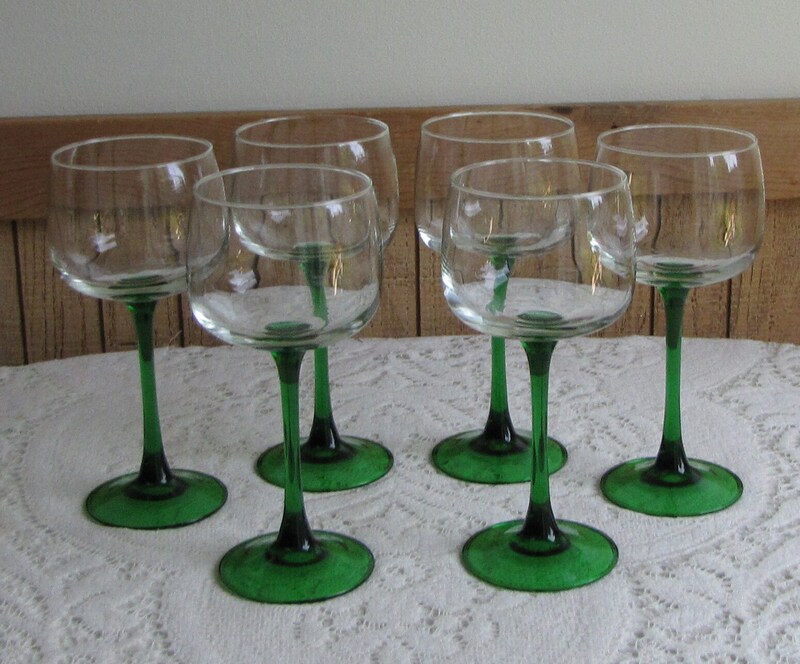 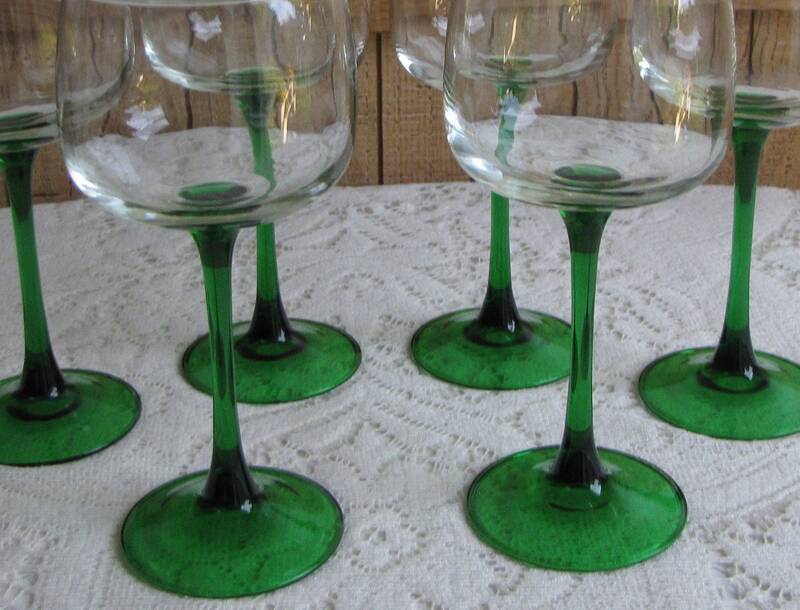 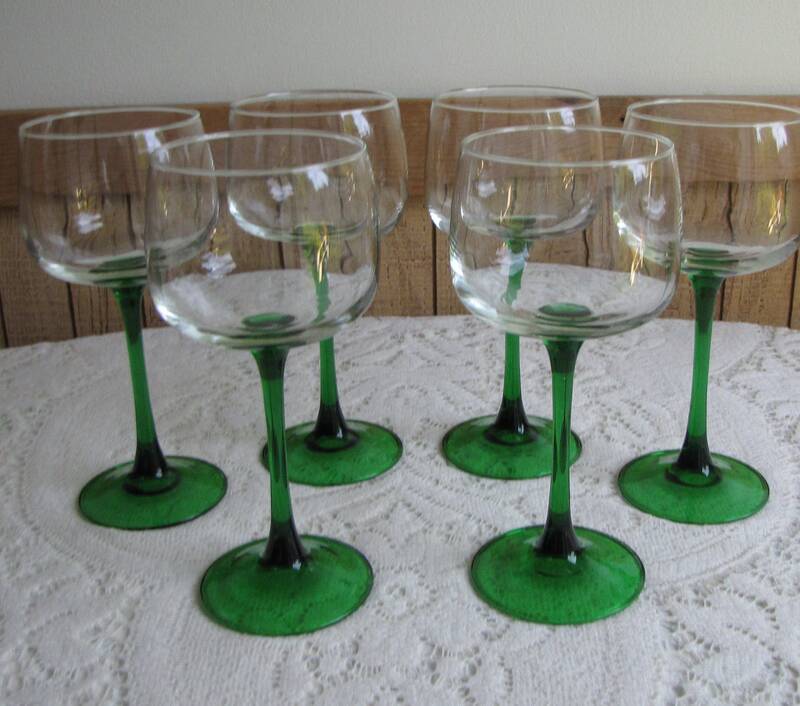 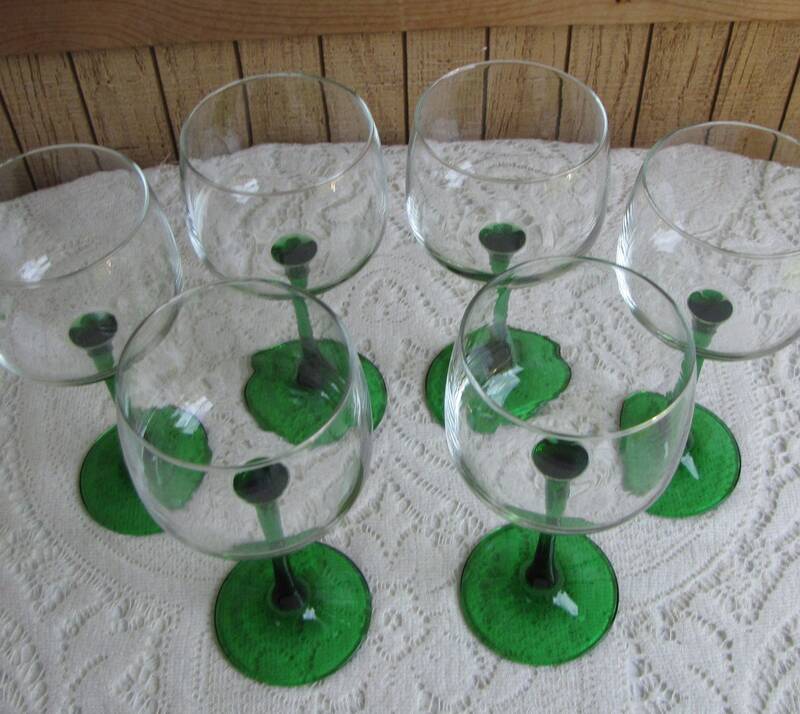 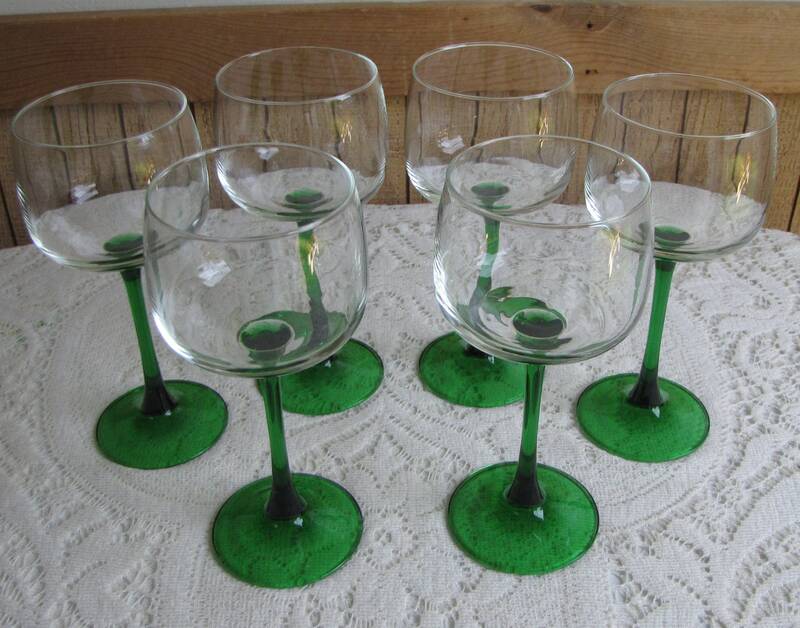 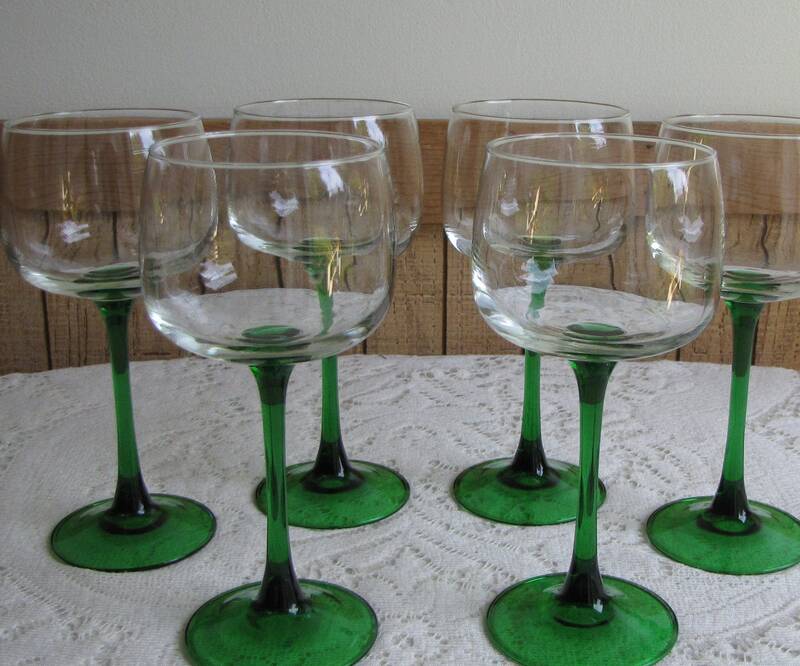 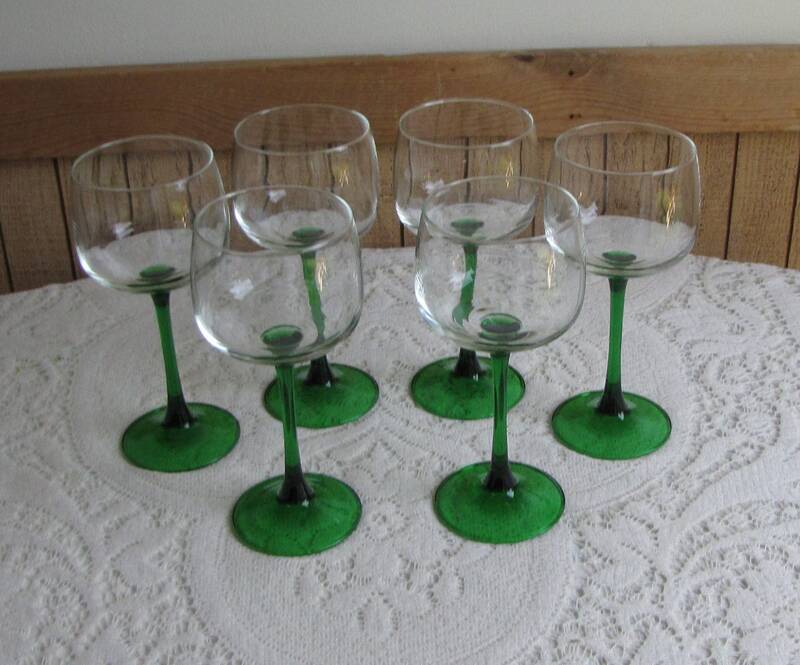 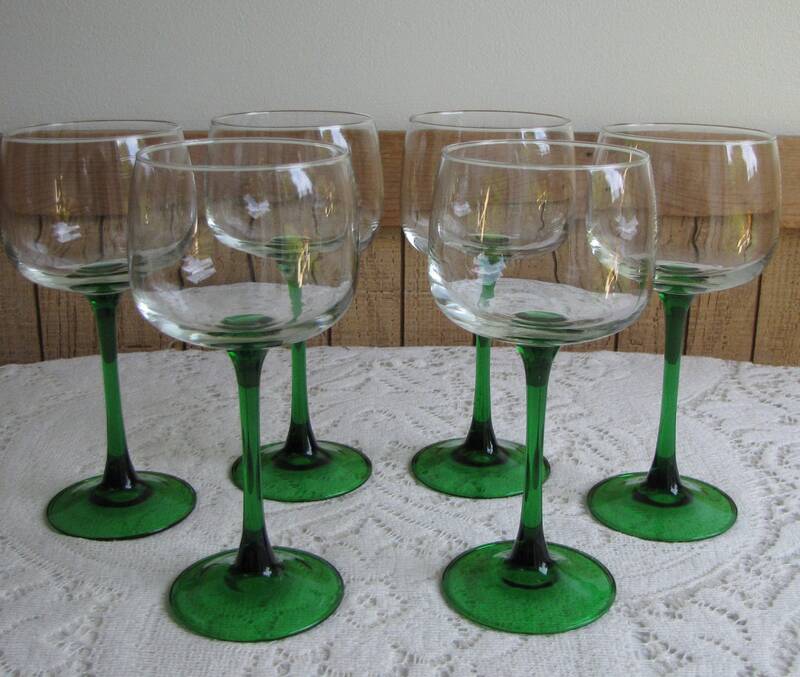 The wine glasses are in very good vintage condition with no chips or cracks; hardly a mark on them. 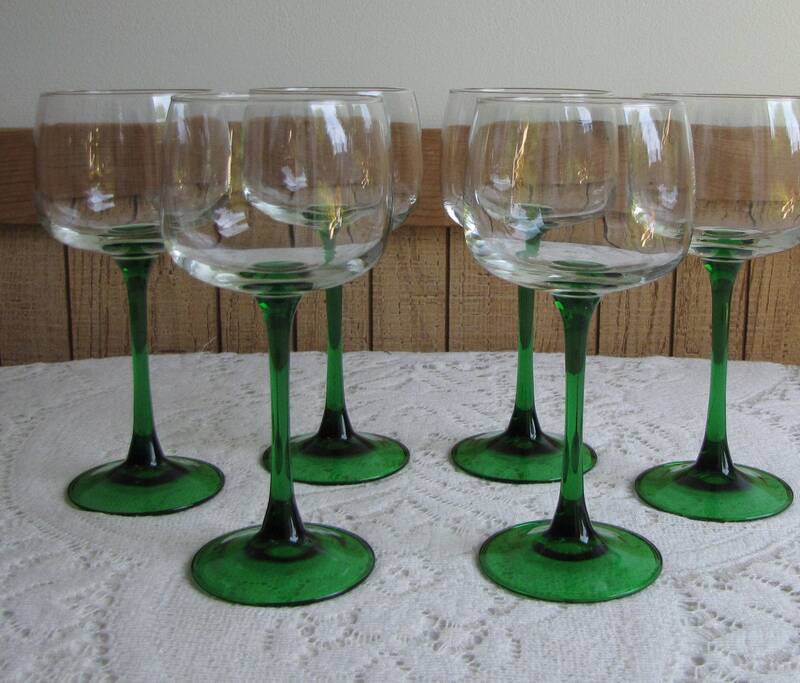 The glasses measure 7 inches tall and 3 inches in diameter.